We caught up with Austonian (a Houston and Austin hybrid), Alley Lyles to learn more about where and how to find the best local spots to experience this vibrant city. On your first day here, seeing this is a must: A trip to Houston’s Museum of Fine Arts – Houston (MFAH) is a “must” for any traveler, especially on Thursday nights when admission to most Houston museums is free. 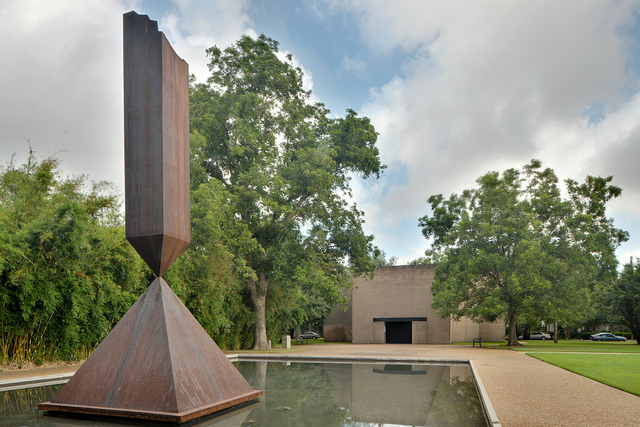 In addition to the top 100 highlights within the museum’s art collection, the institution maintains robust film programming which includes the “Movies Houstonians Love Series,” which invites notable locals to present their favorite films (past presenters include Former Mayor Bob Lanier, Fashion Designer and Former Project Runway contestant Chloe Dao and Rapper Bun B); the month of May’s Latin Wave: New Films from Latin America, which screens movies from emerging filmmakers in contemporary Latin American cinema; and, the Robert Frank Collection, featuring the works of the acclaimed Swiss-born photographer and independent filmmaker. The numerous buildings full of breathtaking art, paired with the hours of film reel watching, could keep a traveler at MFAH all day. Currently, the MetroRail is being expanded. Five additional lines will be throughout Houston before 2040. Most people don’t know this, but to get a true taste of the local culture”… Stop by Dirk’s Coffee (formerly Diedrich’s Coffee), a favorite among savvy locals who can appreciate a well-made, premium roast cup of coffee for less than two dollars. 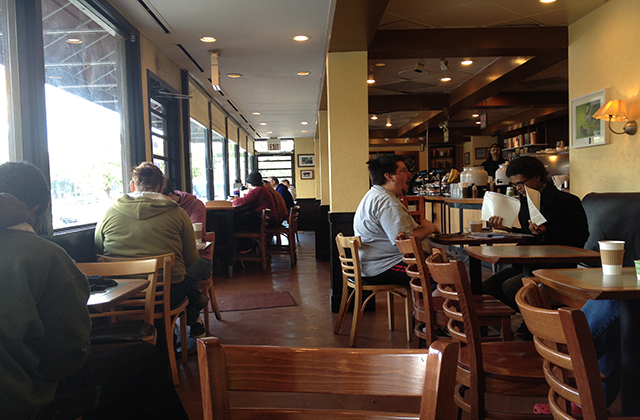 Between the University of St. Thomas and the Museum District, the coffeehouse greets a mix of customers which include regulars and employees. Dirk’s Coffee is a popular meeting spot for student group discussions, casual business meetings and lonesome book reading. Sit outside on the patio, or inside near the window to watch the cars and passersby on Montrose Boulevard. The best attribute of Dirk’s Coffee is the talented baristas who really know their coffee. Stop in, describe your ideal drink of choice and you will have your “pick me up” served in a ceramic cup on a saucer in three minutes. As a note of caution, the establishment is pretty popular during the weekday morning rush hour and on the weekends. Parking may not be readily available in the front; however, it is plentiful on the neighborhood side streets. The meal at this local eatery had me salivating for days: El Paraiso Mexican Restaurant offers traditional Tex-Mex cuisine and it never disappoints. The restaurant is a small, pale pink inconspicuous house on Fairview Street in the Montrose neighborhood. The minimal decorations on the outside are mirrored by the subdued atmosphere on the inside. It is a fairly quiet place to escape the usual bustle of the surrounding neighborhood. All of the items on the reasonably-priced menu are made to order and from scratch, including the complimentary red and verde salsas. The traditional Tex-Mex staples are served in large portions for under $10 a plate. The margaritas, served by the pitcher, will have you walking away feeling as though you got your money’s worth. The handcut papas fritas come highly recommended as a star menu item. Best place to find artisan crafts: Located within the Houston Center for Contemporary Craft (HCCC), The Asher Gallery showcases and sells the work of local craft artists. A variety of gifts are for sale including handmade jewelry, ceramics, baskets, handbags and clothing. New inventory arrives daily, and the HCCC offers member discounts. In the spring, The Asher Gallery hosts a trunk show featuring pieces from select artists. The Asher Gallery’s sales support artists and free programming at the HCCC. Local celebration not to be missed: Houston’s annual gay pride festival and parade, held in late June, is one of the city’s largest annual events with over 300,000 participants and spectators. 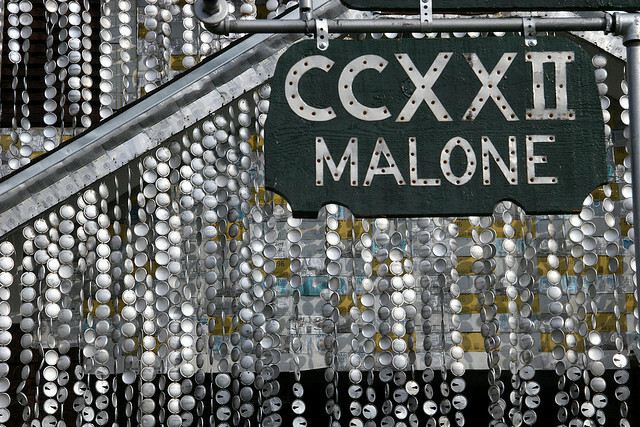 Traditionally, the festival is held from 1-7 p.m. before the 8:15 p.m. start of the parade. The festival features more than 200 contingent and exhibitors, including the Houston Dynamo Kids’ Zone, the Walgreens Health and Wellness Pavilion, the Houston LGBT History History Exhibit in cooperation with Rice University, and, a cast of music performers past and present Pride Superstar contestants. The parade, held along Westheimer Road between Dunlavy Street and Montrose Boulevard, features more than 100 organizations and business supporting the Houston LGBT community. The large community draw makes the Houston Pride Parade the second largest parade in Houston and the largest LGBT gathering in the Southwest United States. Favorite pastimes: Tour of Texas’ oldest craft brewery: Saint Arnold’s Brewing Company. Tours are offered to the public most Mondays through Saturdays for $8 a person. The price includes the tour and a souvenir glass. People on the tour are offered sneak peeks of the facilities that produce traditional, seasonal and special brews all year round. Given that reservations are not necessary, it is a great way to gather a group of friends and past the time any afternoon. After the Saint Arnold’s Brewing Company tour, consider keeping with the theme and visiting Houston’s Beer Can House. The home, which can be toured Saturdays and Sundays from Noon to 5 p.m., is adorned with beer cans that owner John Milkovisch drank himself. The Beer Can House is a permanent exhibit of the Orange Show Center for Visionary Art. For a more bucolic/green setting I escape here: George Bush Park Located in West Houston, this green space offers a variety of amenities for those wishing to explore the “great outdoors” while still a stone’s throw from the nucleus of Houston. A Butterfly/Hummingbird Garden, the equestrian trail, overnight camping, a wetland habitat and a 11.36 mile hike and bike trail are among the park’s attractions. It is often lauded for its pristine trails and beautiful reservoirs. The art/music scene is alive and well here: Fitzgerald’s, a Houston staple since its establishment in 1977. It reopened under new management in 2010 after several years of people demanding a vibrant atmosphere and improved sound system. The stages host a variety of independent music performers (mainly in the vein of rock) Wednesday through Sunday. Most of the shows are free of charge for those 21 and up. The musical groups include rising local and national acts, including Robert Ellis and the Boys, Bright Light Social Hour and Ra Ra Riot. The biggest drawback to the venue is the lack of available parking. Plan ahead if you intend to catch show a popular show. Where the locals get tipsy: Catbird’s Cocktails and Trivia — or simply known as “Catbirds” by locals–is a divey establishment that one may easily pass while zipping down Westheimer Road. According to The Houston Press, it is one of six local bars on Buzztime’s official national list of top 100 NTN Trivia hot spots. Every night, even on holidays, this bar plays music that is 50+ years old which includes the likes of Bessie Smith, John Coltrane, Miles Davis and Frank Sinatra. However, the clientele is primarily in their 20s and 30s. The liberations are inexpensive at anytime, but, the daily happy hour (held from 3-8 p.m.) features specials on domestics, wells, shots and bar bites. Additionally, every night around midnight customers can order boudin, burgers (veggie and meat) and hot dogs off the BBQ pit for less than $5. The Nouveau Antique Art Bar creates a lasting impression long after the night ends. 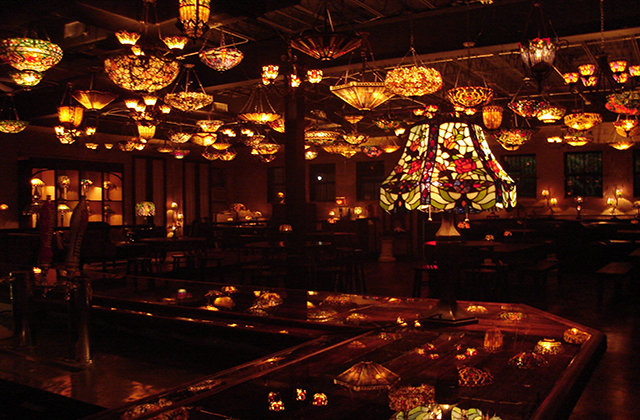 The ceiling of this 4,500 square foot lounge is covered with antique Tiffany-inspired lamps. This romantic Midtown spot serves classic cocktails Tuesday through Saturday. The Nouveau Antique Art Bar also hosts a happy hour from 4:30-9:00 p.m. with weekdays offering $1.50 off all drinks. Additionally, a ticket stub from a visit to the museum, symphony, theater, opera or ballet can be redeemed for a drink on the house. Most ludicrous stereotype about the people here: Contrary to misconception, Houstonians do not wear cowboy dress daily while riding a horse to work. Locals may dress up in the latter part of February through the beginning of March in honor of the Houston Livestock Show and Rodeo events; however, hip and casual is the trend. We embrace our motor vehicles, bicycles and the Metro as transportation options. Alley Lyles is an Austonian-a Houston and Austin hybrid and the Digital Media Strategist for Untapped Cities. She now resides in New York City after traveling throughout Europe. 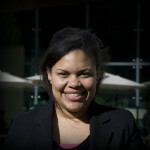 Alley is a second year graduate student in Columbia University’s urban planning program. In the past, Alley worked at Socialmetrix and NYC Digital. She listens to jazz and big band in Brooklyn, and thinks the subway train is an awesome cheap rollercoaster. We’ve always wanted to visit Houston, this just makes us more excited to go!